CE,GS,ROHS,CCC & CQCAll Certified !China Measuring Tools/Instrument Leading Manufacturer and Sold well all over the world 198 countriesGolden Supplier ! 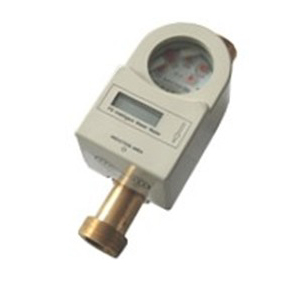 Contactless IC Card Antidrip Water Meter is a kind of high accuracy water meter and can measure water volume even water drops or leaks from taps. It can avoid intended or unconsciously waste of water resource. Its start flow is 2L/h, which absolutely meets the demand of National Standard of Grade B Water Meter and higher than the standard. 1. Measurement of water volume when water flow exceeds 2L/h. 2. One household with one water meter and use water meter by unique IC card. 3. Prepaid for used water volume. 4. Ideally suitable for commercial and industrial water supply. 5. Electric ball valve to guarantee good performance of water meter, rust proof, block proof, lower pressure loss and power consumption, suitable for harsh environment. 6. Totally sealed, no outside circuits, waterproof and can work normally even if put into water for hours. 7. Anti-attack of strong electricity or magnetism. 8. Technique of micropower to warrant working current less than 4.5μA. 9. Having all the advanced technologies of prepaid cold water meter.